I have to admit I’m not a huge fan of macaroons. 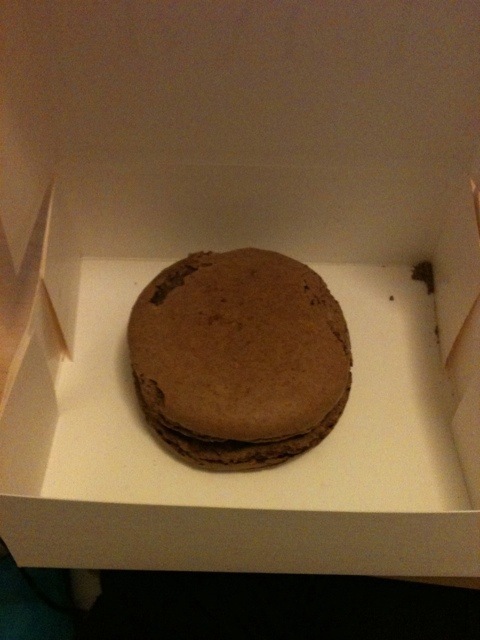 I have tasted pierre herme, laudree macaroons in the past and found them quite sweet. If i ate them 10 years ago I would have loved them but I have now cut down sugar intake in my diet. The pauls one cost me £2.70 slightly more worth it then the other two, but I prefer Pierre Hermes more. The biscuit is soft and crumbles in your mouth, whilst the chocolate melts in your Tongue. Good for people starting out with macaroons as the usual ones are tiny for around £1.90 per biscuit.